Are you using a Windows Operating System with the same old Windows Media Player? Is Video Viewing a no more fun activity for you? Just explore these below-mentioned alternatives to Windows Media Player and you will realize that there is more to videos than just watching experience. The mentioned video players are some of the best players with exceptional functionalities to cater your needs. You can not only watch videos, but share them on cloud platform to be able to stream from different platforms. These alternatives allow you to indulge in customization and personalization with great options at your disposal. Think of any video format! The below mentioned video players for Windows can run video files in any format under the sun. So, just go ahead, explore and give these alternatives a try to gain pleasing media experience. VLC Media Player is the most popular, flexible and reliable video player available free for the Windows Operating System. It is open source software which gives you the freedom to run media files on VLC from your PC, compact disk or the internet hassle-free. VLC Media Player comes with a very user-friendly interface without any advertisements or spyware, which helps you in playing your video files instantly. The video player consists of all the basic functions and helps you to play any format of video files or movies in top-notch quality. This software supports video files of different extensions, including MP3, MPEG-1, MPEG-2, DivX, FLAC and much more. 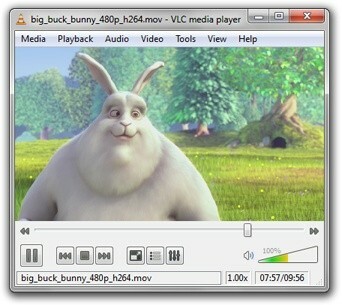 VLC Media Player can be used to play HD and Blu-Ray videos. It supports a huge variety of subtitle formats also so that you can have a better understanding of other language videos. VLC Media player gets you the option to download different layouts from its official website to make your experience with VLC truly elevating. Opt for VLC Media Player if you want to convert your video files to some different format. You can even use VLC Media player to download videos from YouTube easily. VLC Media Player has an unpredictable user interface, which looks and behaves differently on different systems. If you have enough technical knowledge to handle open source software, you can then explore different additional services like hotkey support and other shortcuts provided by the VLC Media Player. There is no need to download codec files, as VLC Media player comes stuffed with all the required files. The video player can also be used as a server for video channel streaming services like Channels.com that provides you the freedom to access channels directly like Reuters, National Geographic, ESPN, etc. Looking for lightweight software with a simple graphic user interface having all the standard functionalities? Media Player Classic –Home Cinema is the one stop solution for all your video playback requirements with top-notch modern functionalities. This software is totally free to download and comes with high recommendations for the Windows OS. Media Player Classic-Home Cinema (MPC-HC) supports extensively DVD and VCD format video files. It also readily runs video files in different formats like MKV, MP4, MOV, AVI, MPEG, MP3, AAC, FLAC, FLV, RM, WMV and many more. The software has many standard features like codec files, customization and playback options. The latest additional features of MPC-HC include Enhanced Video Renderer support with freedom to perform the recordings of television video clippings with the help of a TV tuner. If you are a Japanese anime fan, then MPC-HC is the video player you should opt for. The reason being it’s over the top subtitle editing facility. MPC-HC has layout similar to that of traditional Windows media player, but still outshines in the core functionality department. Media Player Classic-Home Cinema is totally free of spyware and advertisements, which makes your video viewing experience with this player even more enriching. You can even interact with MPC-HC from a great distance while watching movie or videos on your computer. All you need to do is just install MPC-Remote Lite application on your Android device to perform actions like pause, rewind or skip. 5K Player is all about HD video service for the Windows platform. With 5K Player you can play HD video files and movies easily. 5K player runs almost any kind of HD video to suit your requirements to play 4K or 5K video files including 1080p HD videos, with MP3 audio and DVD movies. This video player is light-weight application, and comes with all the standard features of media playing and provides great customization options. It also has the facility of MP3 converter with equalizer and tuner. 5K Player gives you the flexibility to download videos directly from YouTube, Daily Motion or other video streaming services and watch them on TV with the help of Airplay option. Airplay is an excellent functionality provided by 5K player, which allows you to send any audio or video files to any connected screens or speakers. 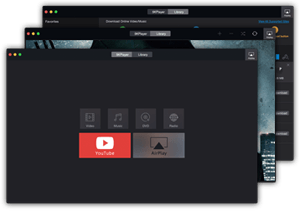 Universal Media Player comes with high recommendations for those who want to have a great experience of watching movies on their Windows platform. UM Player is free to download with amazing features and functionalities for you to explore. The video player has a very interactive user interface with easy navigational options and settings to choose from. Universal Media Player has a built-in codec files support that lets you play video files of any format very easily. It runs files with any video formats including, AVI, MP4, MQV, VCD, MKV, and much more. It is light-weight application software, which runs smoothly and consumes less space on your hard drives. You can change the layout of the video player and customize it the way you want to. UM Player also provides the facility of automatic subtitle download for any video file. 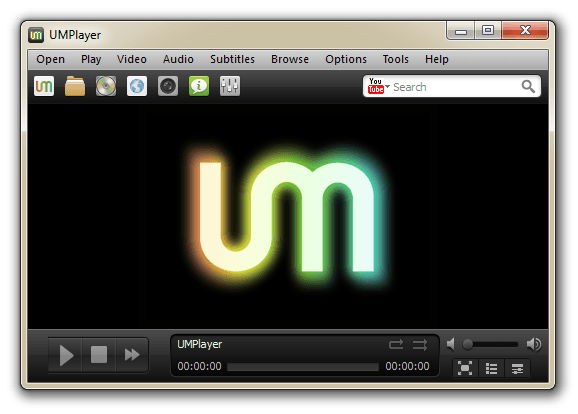 You can also go for UM Player if you want to stream media files from YouTube, Shoutcast or other streaming web services. UM Player also allows you to play Online TV and Radio Stations. GOM Media player has made it to the top list as one of the best and advanced video players available for Windows platform. It offers lots of customization and personalization options for both amateur and advanced users. The multimedia player is free to download software, and can be used to play multiple formats of video and audio files. 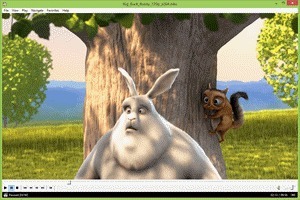 GOM Media Player has a very interactive user interface and its reliable functionalities make it even more attractive. GOM Media Player is packed with standard functionalities like high-quality video playback, hot keys and option to run advanced codec files. The video player has option of three viewing modes: Normal, High-Quality and TV Output. These modes help you to adjust the settings of your video like brightness, saturation and contrast, with control on time jump and playback speed, which help you to improve the quality of the videos as per your requirements. Some of the advanced features include screenshots, media player capture with A-B repeat. The software of GOM media player is highly skillful as compared to other open source software as it helps you to run even damaged, locked or even partially downloaded video files. It supports formats like DAT, MPEG, DivX, WMV, ASF, AVI, MKV, FLV and many more. 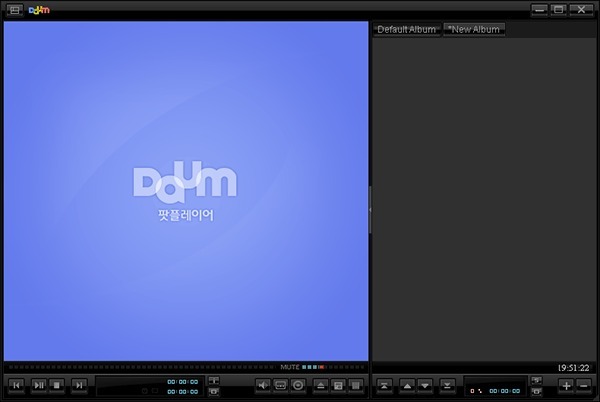 GOM Media player also provides you with the option to perform web-enable streaming. Even if some of the codec files are missing from the video files, GOM Media player provides a codec finder service, which will help you to locate the necessary codec files and thus support you. The latest version of the application consists of second subtitle option and text-to-speech output functionality. 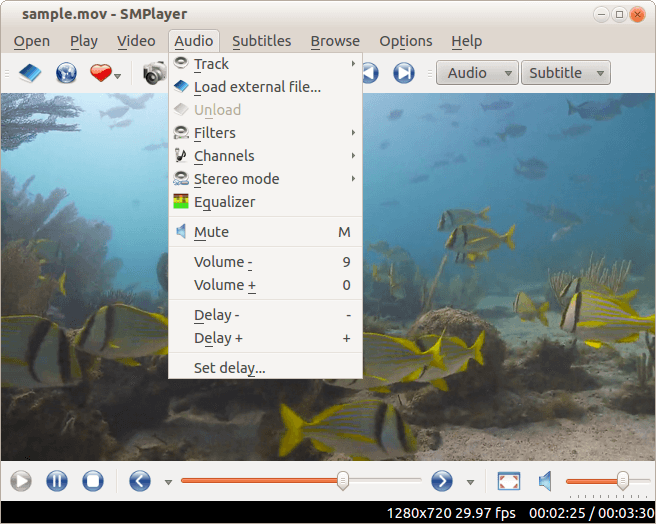 KM Player is an excellent video player option for the Windows OS with great customization options. It is well-known for its multi-format support for audio and video files like VCD, OGM, 3GP, MPEG-1/2/4, DVD, AVI, MKV, WMV, and QuickTime with advanced functionalities. 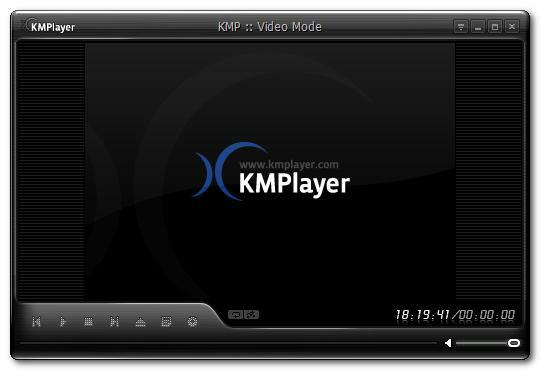 KM Player also allows you to play virtually unknown video files formats with ease. It also provides support to easily configure your device to play the 2D, 3D, 4K and Ultra High Definition video files. It offers you a very simple user interface that helps you to work on videos hassle-free. The layout is super dynamic. It changes its colors with every new track and also provides you an option to import various album arts to change the skin of the player. The latest addition to the KM Player involves cloud feature “KMP Connect”, which enables you to share your favorite videos and music online with your friends and other users. You can even easily organize your video files in libraries to play them later. KM Player is also compatible with mobile devices, where you can stream video files with the help of Wi-Fi and Connect Application. KM player provides you an exceptional video playback options as it comes with a variety of processing tools that allows you to meddle with picture properties, sharpen the quality of the video, apply filters and also allows you to take screenshots. The software also allows instant online streaming by coordinating with web streaming services. You can sync the faulty subtitles, which is really an amazing feature provided by KM Player. The video player consists of almost all codec files, thus enhancing your video files. The only glitch in the video player is that it has heavy software and has to coordinate with third party applications, which may bombard you with ads and links continuously. It also contains bundled apps that may lead you unnecessarily download browser add-ons. Pot Player is an excellent video player for the Windows OS, and its different exceptional power-packed features make it stand out among the rest. The video player consists of great customized playback options like post processing, deinterlacing and de-noise and other personalization features which will leave you completely spell bound. Pot Player has a complex user interface with many options displayed on the layout board, which might first seem a problem to you. But as you get used to the software, you get to know that the software is actually simple to use and handle. It is compatible with all the formats of video files and runs them without facing any obstacle. You can even play damaged or incomplete video files with the help of this player. The player offers different playlist controls for customizing your video sessions on Pot Player. The application software comes with A-B functionality that helps you to continuously repeat your video file. It has a distinct functionality of remembering your video interactions and restarts from the point where you left off. You can personalize the Pot Player by changing its layouts, even making the window complete transparent and sometimes you can even opt to hide the border of the window. Hardware Acceleration is the most unique feature of Pot Player. With the help of this functionality, you can control CPU of the Windows desktop to avail a best media experience. This is because such functionality plays the video smoothly irrespective of its size and quality. Pot Player is a unique video player that supports 3D input and output functionalities and thus you can enjoy a video in 3D view with 3D glasses. It supports codec and subtitles files, screenshot, option to choose from sound cards and video scene bookmarking. You can upload around 1000 video files and play them back to back. DivX Player is well-known video player for its excellent HD video support to give you an amazing media experience. The video player is free of cost and can be easily downloaded from the Web. It supports not just HD format videos but works well for formats like MKV, AVI, MP4, DIVX and much more. The video player has a user-friendly interface and easy controls so that you are able to move through the application software at ease and have an enriching experience. 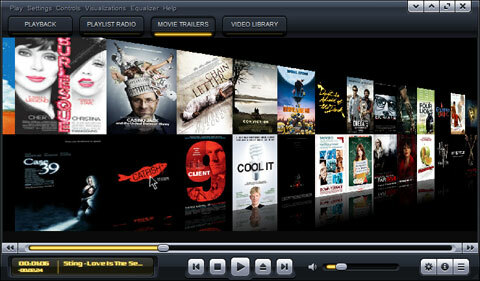 DivX Player lives up to the expectations of users and provides an exceptional movie and video viewing experience. This player allows you to watch your favorite movies in HD including Ultra HD Videos and HEVC playback. You can stream videos on other devices if they have Digital Living Network Alliance (DLNA) support. Apart from the technicalities, you can also use DivX to personalize your video viewing with the video player. You can organize your video files chapter-wise and create playlists to watch later. DivX player provides you with exceptionally advanced audio playback, and also recently watched playlist feature to let you start your video just from where you left. 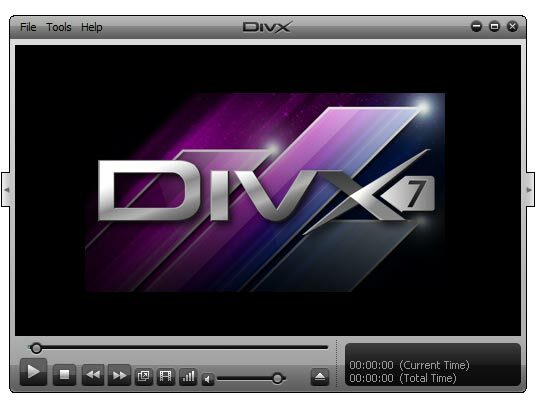 DivX player is full of advanced features, and also gives you full control over the software. It is a video converter and thus helps you to easily convert your video feeds. You can choose from around 8 languages to convert your vide. It also enables you to run two subtitles at a time during video playback. DivX Player also has a functionality called as DivX Web Player, which provides a cross-browser web extension with which you can also witness live streaming capability of the video player. SM Player is one such application software for playing videos on Windows platform with or without the codec files that are generally required. The excellent customization features of SM player distinguish it from other players. The application software has an extremely simple user interface with great standard features that are easy to use. SM player is compatible with almost all video formats and thus let you view videos hassle-free. It supports formats like WMV, MP3, DVD, VOB, 3GP, OGM, MKV, ASF, AVI and much more. You have the freedom to stop your video anytime and resume it exactly from the same point the next time. SM Player also lets you customize the subtitles for the videos by their font, size and even color. You can also choose a different layout to personalize your experience with SM Player. SM Player also allows you to play videos directly from YouTube with its YouTube support functionality. You can also utilize the online subtitle finder option to find an appropriate subtitle file for your video. The video player also provides you flexibility to take screenshots of the current video. With the growing competition amongst the video players to attain the top-most position, Real Player has surely gone a step further to achieve its target spot with its cloud media sharing service. Real Player is free video application for the Windows platform. Apart from just watching your favorite videos, Real Player provides you the opportunity to share those videos through cloud platform. 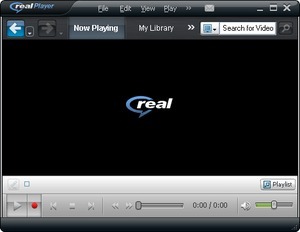 The free version of Real Player provides almost all the standard features of video players. You can also avail the premium services of the application software by paying minimal charges of $4.99 per month. If you have opted for the premium version of Real Player, then you get 365 GB of storage space with which you can surely maximize your media experience with the player. This functionality provides you the freedom to access your videos anytime, anywhere on different platforms of your choice. You can even share movies on HD TV’s with the help of necessary applications. Real Player also allows you to create bookmarks for the videos of your choice and thus provides notifications so that you don’t miss out on literally anything. So, from the mentioned functionalities, Real Player with premium access seems worth after all. You can also download your videos to your free 2GB cloud space and access them form any device. Real Player is compatible with Roku and Chromecast, which allows you to stream videos from desktops or mobiles to TV screens. Plex is an excellent video application that differentiates itself from other video players by its cloud storage space provision with awesome functionalities for the Windows OS. Plex allows you to experience great pleasure of watching movies and videos from a number of different device rather than just one. The video player has a very user-friendly interface with great options that are easy to navigate from the application software’s layout. Plex is concentrated mostly on serving you with its user-centered functionalities. You are given online space to store your favorite movie or video so that you can access them later from any new device. This video player is such a media player that acts as a media server to enable you to store videos online and then stream it. All you need to do is to create folders and files consisting of your favorite videos and movies and save them in the online Plex library. 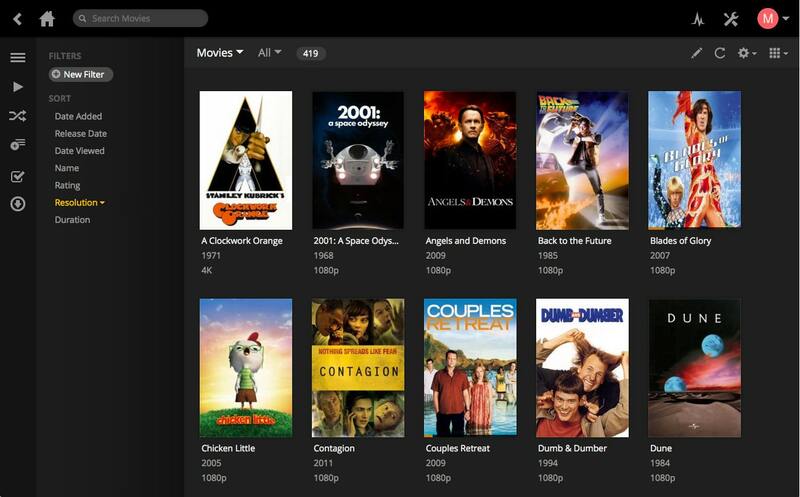 Then you are free to stream them from any device compatible with Plex video application software. With Plex player, you can also opt to stream videos from other online steaming services like Netflix and Spotify. With a few minor glitches like buffering time and loading time, be rest assured that once buffered these videos will be played continuously in high quality. Cyberlink Power DVD is a great option for you to run DVD and Blu-ray video files comfortably and thus maximize your media experience. 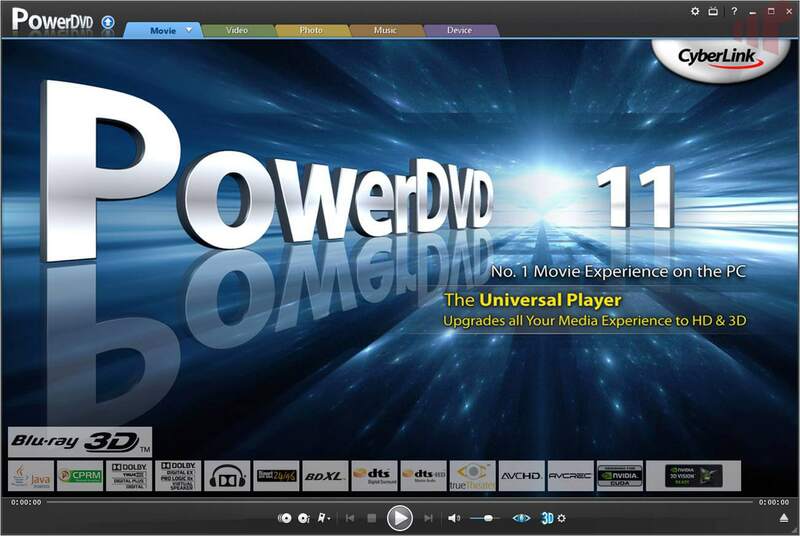 Cyberlink Power DVD is a HD video player with the smooth user interface with eye-catching personalization options. Cyberlink Power DVD comes with True Theater feature that allows you to play videos and movies in excellent high quality with pixel-perfect images. The 3D effects provided by the video player can only be utilized if you have 3D enabled display features. The HD video player allows you to take screenshots and use “Say it Again” and “AB repeats” functionalities with which you can repeat a particular sentence or movie part again and again. You can also share video files and movies on YouTube, and also utilize the video bookmarks feature of the application. This video player directly connects you with an online movie database called as MoovieLive, which helps to categorize your collection of movies, and access movie reviews. Kantaris Media Player is an open source video player which derives support from VLC media payer but still, stands out for its own excellent functionalities for the Windows system. It has a smooth user interface with extravagant customizing options to change its skin, thus making the video player a great option. This video player seems to be a great option as it has most unique interface with two tabs, one for Playback and other for Plugin Manager. Even if a video requires additional codec files, Kantaris runs the files smoothly without any complications. You can also play RAR archive files, DVD’s and audio CD with option to stream online videos. Kantaris Media Player also analyzes the subtitle files for proper sync when you actually use those files. It also connects to an online database and finds correct subtitle files for your videos. Kantaris Media Player opens a whole new world of video experience for you with 3D effect video library, Apple movie trailers, and Last.fm radio station. Kodi video player is multi-talented application software with different excellent functionalities and options for the Windows OS. Kodi allows you to watch videos, play audio files and even view images from its platform with lots of customizing options. Kodi has a very attractive user-interface that is extremely simple in navigation too, just like the Apple TV interface. The video viewing experience with Kodi is pleasing and quick. It also provides add-ons to help you customize your Kodi’s layout with different skins and fonts. You can explore different functionalities of Kodi with a wide variety of keyboard shortcuts and remote control options. Kodi video player is compatible with almost all video formats including MP3, WAV, FLAC, MP4, DVD, Blu-ray, AVI, MKV and much more. You can stream videos from YouTube, Live TV and Netflix streaming services and thus gain best media experience. 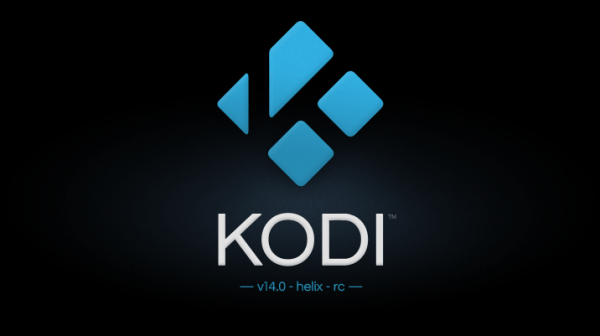 One of the best features of Kodi is that it automatically scans through your media folders and creates a complete personalized library just for your comfortable video viewing experience. The only drawback is that it consumes more memory space on your device as compared to other video players available for the Windows OS.